To those of you who aren’t developers, Microsoft has a website for WP7 applications and Games submission called the App Hub where developers/companies register in order to submit their apps and get paid through the site. Since its launch and until this day many countries have not been included in the App Hub membership registration forms. Developers can download WP7 development SDKs and all the tools needed for building apps for WP7 devices. All free of charge and accessible from all around the world. Which is cool. However, the provided tools would allow for testing on Emulators online, and in order to have apps tested on actual devices Microsoft says developers have to be registered with the App Hub to obtain a certificate that allows testing apps on real hardware. Unfortunately not one country from the Middle East is listed on the registration page, so developers from the region can not test their apps on actual WP7 devices nor submit their apps to the Marketplace. 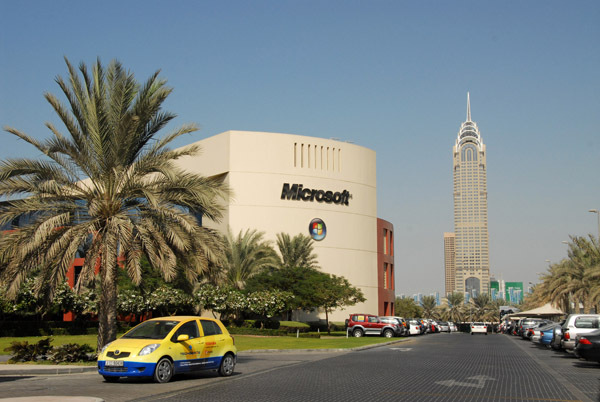 So we developers & WP7 enthusiasts continued waiting for the Dubai Tech Ed event which was held yesterday 8, March, as rumors had it be the day that the big announcement would arrive; opening the Marketplace & App Hub to the Middle East region. Microsoft ME announced that to submit apps to the Marketplace Devs/Companies from the the Middle East have to submit their apps through a company called YallaApps. Let’s forget how demeaning that is and how belittling that sounds to ME Developers, we have to swallow it. How will my application be displayed in the Windows Phone Marketplace? So that means all the apps submitted by Middle Eastern developers would be registered under Yalla Apps and not the actual companies or developers that submit those apps. Any serious developer or company can’t accept having another company’s name on their product. Why can’t we just click our way through registration pages and what not, like devs in the rest of the world? Does Microsoft really believe we need another company to do that for us? This is outrageous, another fact is that the company behind YallaApps, which is actually a company that has “Mobile Application Development” under their services. This itself presents to issues: First, taking credit and representing other developers/companies and second, a huge conflict of interest; a company that publishes apps and competes in the same marketplace controls the competition? How can a company with such a short-lived presence in the UAE let alone the Middle East be given such an inclusive deal to handle and service such a great number of developers from the Middle East & beyond, all while competing with them? We hope Microsoft realizes how ridiculous this situation is and corrects it before many developers find themselves compelled to adopt development on different faster growing platforms, with proper support both within the region and beyond.